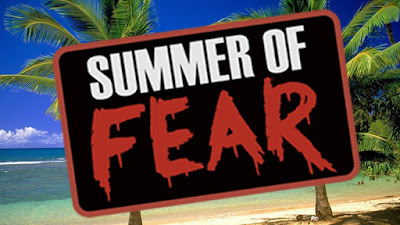 THE B-MOVIE NEWS VAULT: Scream Factory's SUMMER OF FEAR SALE has 14 days of awesome deals! Scream Factory's SUMMER OF FEAR SALE has 14 days of awesome deals! I love the hell out of Scream Factory (and parent company Shout! Factory)! 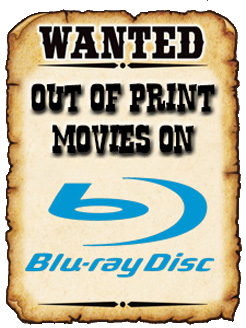 They've brought so many classic Cult, Horror, and Exploitation titles to Blu-ray over the years, and have really been doing a great service for us fans. Because of them, we've gotten a director's cut of NIGHTBREED, will soon be getting definitive releases of RETURN OF THE LIVING DEAD and THE THING, and have already been gifted the ultimate Blu-ray release of ARMY OF DARKNESS. Currently, our friends at Scream Factory are having their SUMMER OF FEAR SALE! For the next two weeks, each day a different Scream Factory title will be available for a reduced price! Yesterday kicked things off with ARMY OF DARKNESS, and today's choice is THE SERPENT AND THE RAINBOW. (Currently $18.99 on the site!) CLICK HERE daily to see new deals, and CLICK HERE for "SUN SCREAMS" deals, which features a multitude of titles that are $14.99 and less! And to further sweeten the deal, if you order $30 worth of flicks or more, you get free standard shipping! I myself just picked up THE DUNGEONMASTER / THE ELIMINATORS (Double Feature), THE HOUSE WHERE EVIL DWELLS / GHOST WARRIOR (Double Feature), and R.O.T.O.R. / MILLENNIUM (Double Feature) for a mere forty-one dollars! Hurry and take advantage of these deals now because there's only thirteen days left!